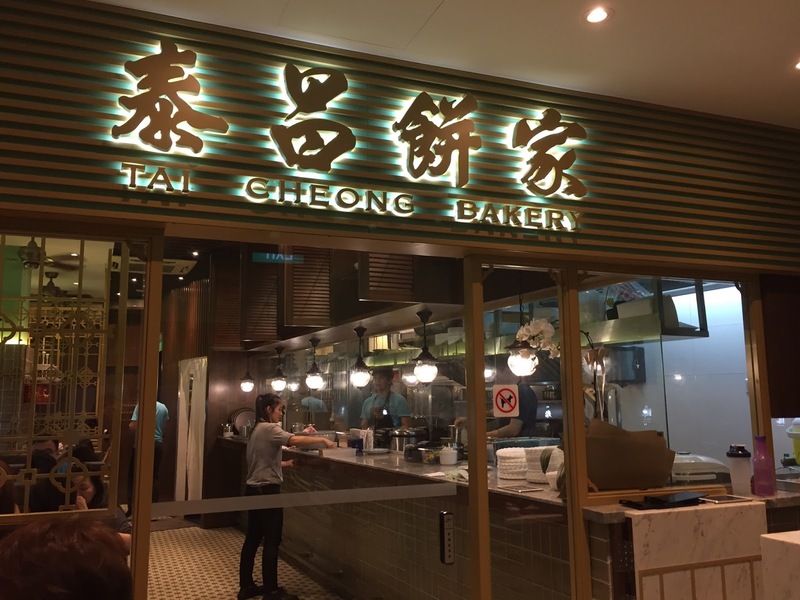 Popular Tai Cheong Bakery From Hong Kong opens in Singapore | JACQSOWHAT: Food. Travel. Lifestyle. 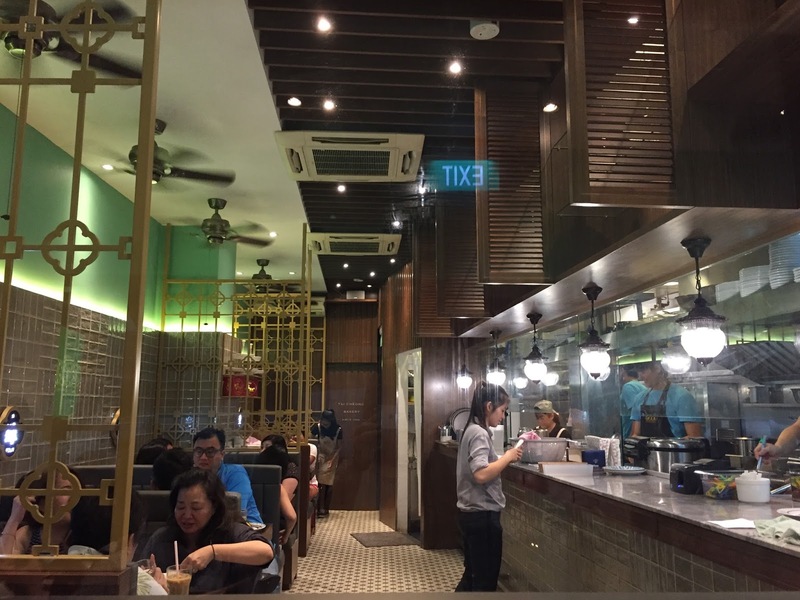 The extensive menu is similar to that in Hong Kong, ranging from polo buns to Hong Kong staple food such as macaroni soup and curry rice. Apart from the dining options, you can choose to stop by the pastry counter at the entrance to take-away bakes and cakes at any time of the day. *Note that they currently do not accept reservations. On the menu, the 'Tastes of Hong Kong' section includes a selection of mains and these will only be available from 11am to 2.30pm and 5.30pm to 9.30pm. One of the signature dine-in item is the Three Egg Macaroni Soup w Luncheon Meat $8.50, a hearty bowl of macaroni in tomato and chicken broth topped with a three sunny-side up eggs and strips of deep fried luncheon meat. This bowl is rather comforting on a cool and rainy day. 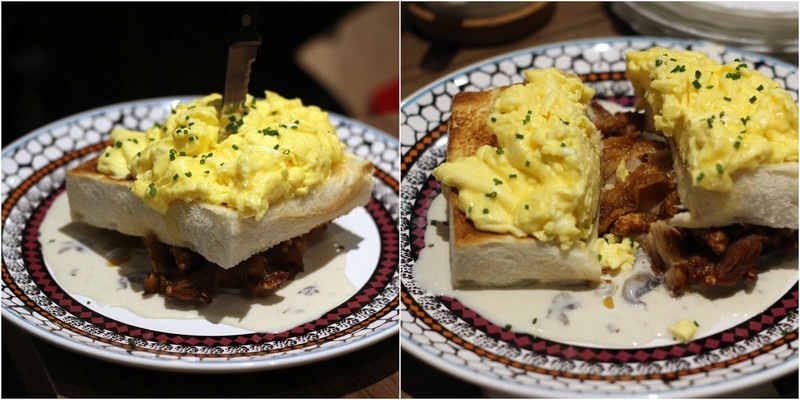 You can expect Hong Kong cha chaan teng kind of food such as this Scrambled Egg Toast Stack w Chicken Chop $9.50. The chicken chop underneath is pan-grilled and drench with mushroom cream sauce, then after topped with white bread and scrambled egg. The star for me was the nicely done scrambled eggs. The French Toast $6.50 on the other hand was simple yet satisfying, it boasts a fluffy and soft texture which I personally enjoy. Though there is nothing out of the world for this Hong Kong cafe snack, it is still a good eat. For people who loves their rice, you may wish to go for the Three Coloured Silky Eggs with Rice $9.90. The steamed rice at the bottom is being blanketed over with a smooth omelette, then after it is crowned with two toppings of your choice. Choices include Roasted Pork & Prawns, Roasted Pork and Beef, Roasted Pork and Crispy Pork Belly. Another staple food on the menu consists a six-hour braised Beef Brisket Curry Rice $10.90 - 120g beef brisket and potatoes in curry gravy. Fret not if you do not take beef, the Chicken Curry Rice option is available as well. The curry was pleasing but not the beef for me, didn't quite fancy the beef tendons. One does not walk out of Tai Cheong without having their famous Egg Tarts $1.90. The outlet at Holland also offers an array of signature baked goods such as the Char Siu Polo Bun $2.20 and Coconut Tart $2.50. The special thing that is available exclusively at the Holland Village eatery is the Durian and Cheese Tart $3.60 (on the left) which showcases premium D24 durian pulp and cream cheese. These durian babies taste sinfully good, durian fans will definitely adore this. Do note that this local creation is not available at any other Tai Cheong outlets. 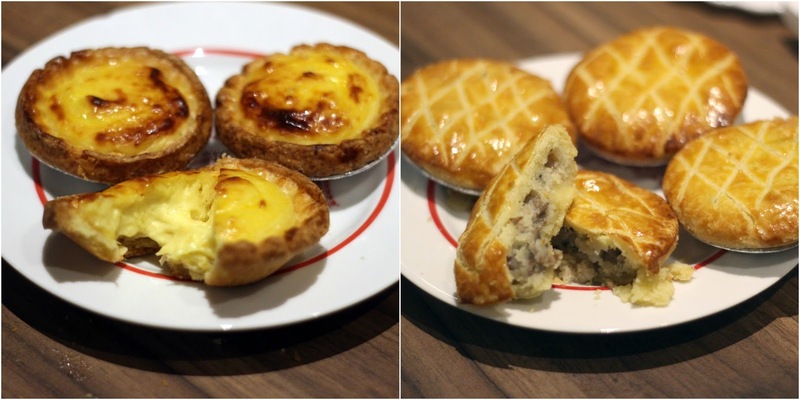 On the right were the Chicken Pies, in the famed crust from Tai Cheong Bakery. The shoe box size cafe can house 26 people indoors and 16 people outdoors, considering a small space, do expect to queue during peak hour. Nestled along Lorong Liput in Holland Village, I like how the aroma of baking tarts led me to Tai Cheong even when I don't see the store front in my sightings.